Every one of our custom corporate award rings tells a story. What story will your award ring tell? 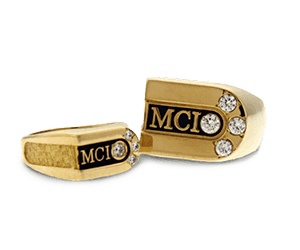 Custom corporate award rings are a powerful symbol of recognition and accomplishment. Terryberry’s artisans handcraft stunning custom award rings in styles as unique as your organization. 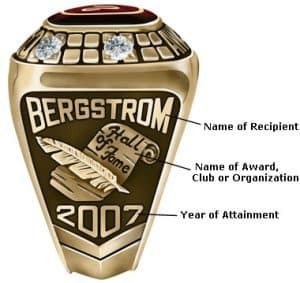 Your award rings can be customized with your logo, recipient name, level of achievement and date. Gemstones or diamond additions take to your corporate ring to the next level. 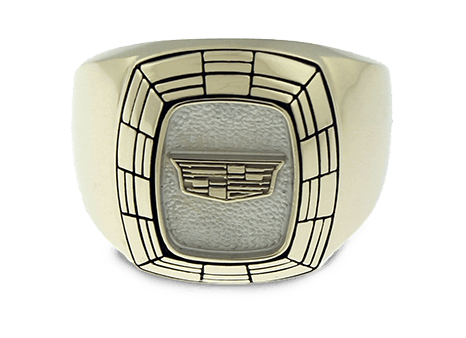 Terryberry designs and crafts elegant award rings for leading organizations like GM and Toyota. Give an award that will serve as a lasting reminder of your recipients’ accomplishments. Terryberry has designed and crafted custom logo rings for thousands of customers. 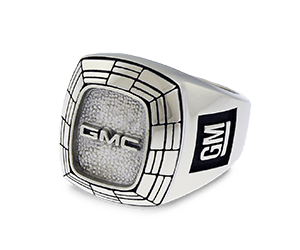 Our custom award rings are used as sales awards, for years of service, safety milestones, championship rings, and an endless list of special achievements. We have served more than 25,000 organizations looking for the highest quality materials and craftsmanship, and have delivered logo ring designs as distinctive as the accomplishments they represent. Contact us for a closer look at the features of our sales award rings and designs available from Terryberry. Recognize and commemorate truly outstanding individual achievements or group performances with a Championship ring style from Terryberry. Begin building a tradition of pride and sustaining top performance when you present your A Players or other champions with custom award rings as employee recognition gifts. No other symbol of achievement is so highly treasured, enduring, or capable of motivating continued success. Our most popular corporate ring styles feature a center gemstone which can match your corporate colors. 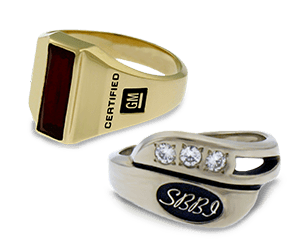 These handcrafted custom award rings, personalized with recipient information and initials, can form the basis of an ongoing employee recognition program. Include decorative rosettes to hold additional diamonds and signify higher levels of achievements year after year. Terryberry offers an endless selection of contemporary design alternatives for custom corporate award gifts that will stand out in today’s business world. With hundreds of style options, Terryberry can use your organization’s symbol and feature it prominently or subtly in a variety of shapes, designs, and sizes for both men and women’s custom award rings. Custom award rings are truly a one-of-a-kind award. Starting with your logo, we consult with you to determine a style of ring from numerous design options. Terryberry’s artists will then provide a free formal art presentation for your review. Once the artwork is finalized, we produce a die, or mold, which we will use to create your custom award rings. Your finished custom award rings are crafted from precious metals and gemstones and are sure to be a proud symbol of achievement. Contact us for a free design proposal. Access Terryberry’s ring finder to browse award ring design options based on size, shape, and ladies’ or men’s styles. You’ll find examples to help you get ideas for your custom award ring. The ring Terryberry creates for your organization will be unique and special. Recognition rings can really show your employees how much you value them. Choose from Terryberry’s many design options below to find the ring that is right for your organization’s staff. Custom award rings are a great way to show your employees that you value their dedication and contributions. Maybe you want to honor your associate with his or her birthstone, or perhaps certain gems symbolize different achievements within your organization. Either way, Terryberry offers a wide variety of gemstones to make excellent custom award rings for your employees. Shop below. 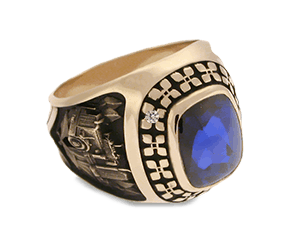 Choose from a wide array of design options for your custom awards rings. Our consultants can create a design for your ring starting from the logo you provide. An artist will provide a formal art presentation with design recommendations for your custom award rings. Once the artwork is finalized, we produce a die, or mold, which we will use to create your ring. An additional option for custom award rings are our levels of achievement rings. These levels are symbolized with corresponding precious metals and gemstones. Really showcase what an employee has accomplished with levels of achievement custom award rings, and build motivation and momentum as employees strive to achieve the next level. 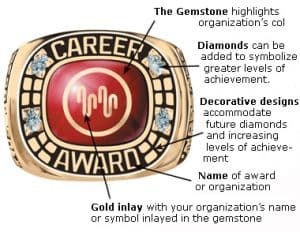 If you are looking to design corporate award rings for your employees, let Terryberry help you decide what custom look and features would be best for your organization’s rings. Contact us to speak to a consultant and get your design process started today. 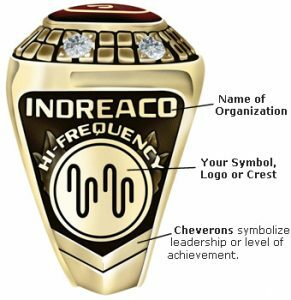 If you aren’t sure where to start with designing the custom award rings for your employees, Terryberry can help. Browse our gallery to get an idea of what you like, and let our consultants walk you through the rest of the design process.